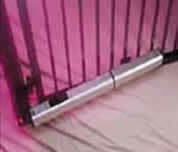 We specialize in gate automation, and offer this service to all gates we install. Many options and accessories are available which can be tailored to meet the specific needs of each application. Depending on each client’s specific desire, we can offer systems to include software capable of tracking and storing activity; by identity specific codes of those permitted access to the property or a more simple telephone intercom system. 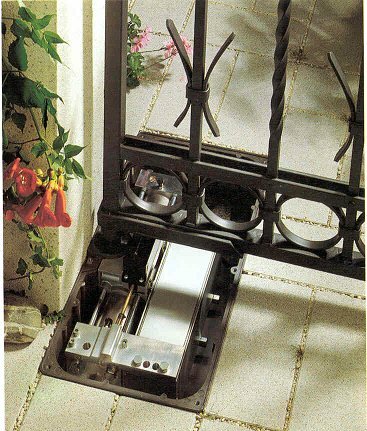 "heavy duty hydraulic swing gate operator"
connected to a PBX or KSU type system, making it ideal for small businesses to control access through a single door or gate. homeowners to program the system right from their home computer. 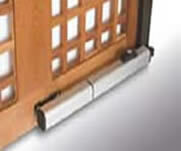 anti-pass back system in one of three different configurations; passive, active and trap. 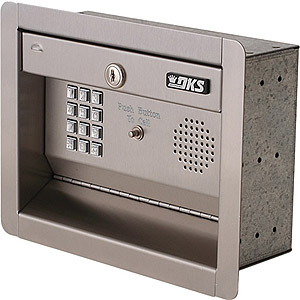 As an authorized dealer of Doorking, Sentex, Elite, FAAC, Hy-Security, and OSCO products, we offer the complete line of equipment and parts. Click the manufacturer’s logo to be directed to their website and explore all the latest products.